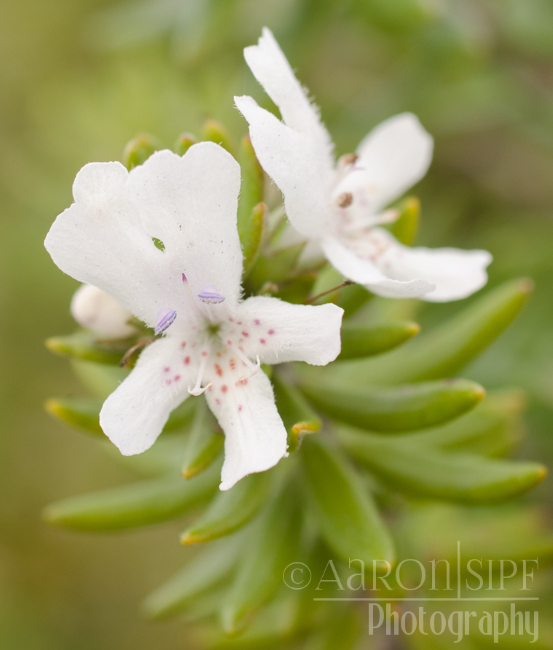 Coastal Rosemary (from Australia). This may be Westringia fruticosa. Used in landscaping. Lamiaceae.